Welcome to the next evolution in skateboarding! 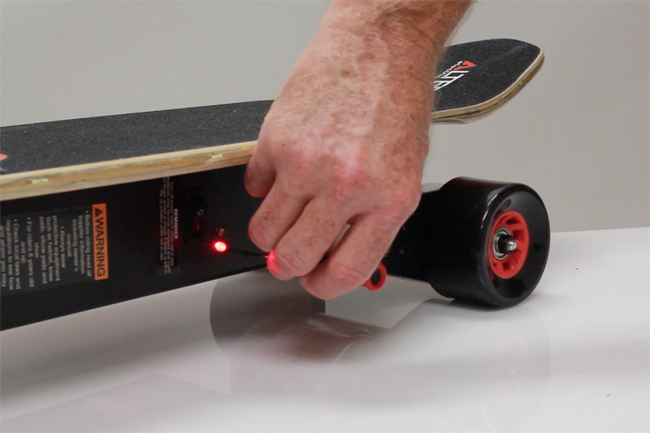 The Fantom 1.0 by Altered Skateboards lets you carve the streets wirelessly! 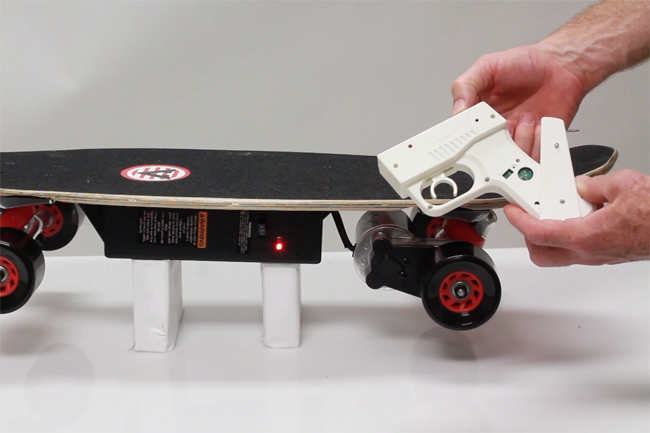 Easier to ride than a standard skateboard, both your feet stay firmly planted on the deck as you squeeze the trigger-style grip to gradually accelerate. The patented hand-held wireless system allows for true continuous acceleration and gradual, controlled braking. ffort. 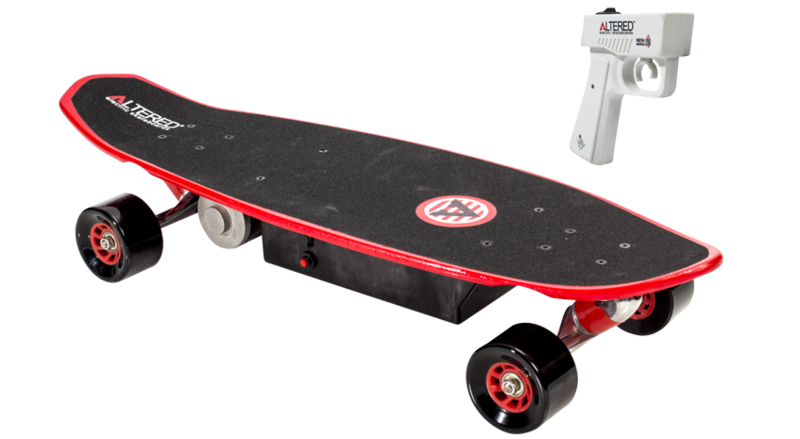 Quiet and smooth belt drive system combined with 100 watt electric motor powers the skateboard up to 10 MPH and can handle up to 40 minutes of continuous ride time! 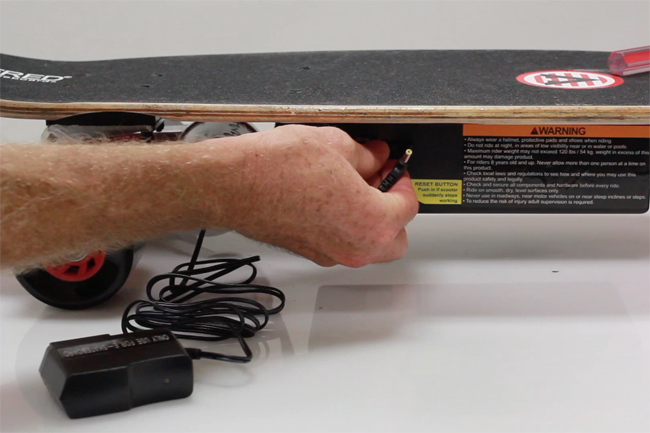 FOR ANY QUESTIONS OR PROBLEMS REGARDING YOUR FANTOM 1.0 ELECTRIC SKATEBOARD BY ALTERED, PLEASE CONTACT CUSTOMER SERVICE AT 1-866-434-6067. 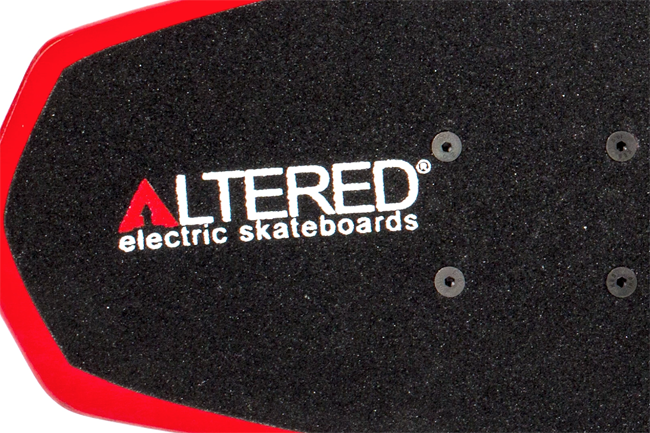 Since 1997, Altered has been dedicated to bringing the fun and excitement of high performance electric skateboarding to as many people as possible. 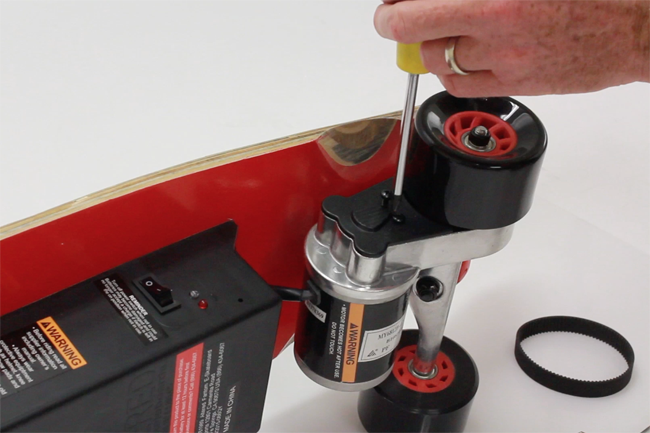 For any questions or problems regarding your Fantom 1.0 electric skateboard by Altered, please contact Customer Service. One of our Customer Service Specialists will get back with you as soon as possible.